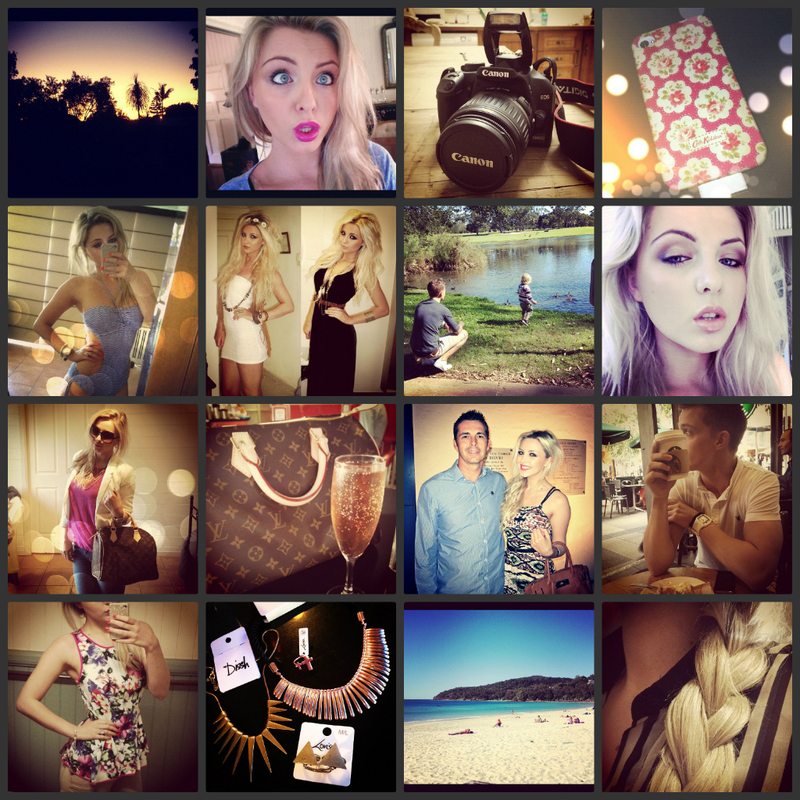 Top Row (L-R) - Australian Sunset, Me being silly, My dads Canon EOS 1000d, My new Cath Kidston Iphone Case. Second Row - Cut-Out Primark Swimsuit, My fave summer outfits, Feeding the ducks with my boyfriend and little brother, Gold & Black smoky eye. Third Row - Taking my Louis Vuitton on its first outing, Louis & Champagne in Brisbane, Me & My Dad, Starbucks with the boyfriend. Bottom Row - New River Island Peplum top, New Jewellery, Noosa Beach, Plaiting my hair. Hey Ladies. I hope you are all well. As you may be aware, it was my birthday at the start of the month and I was super duper excited to receive and Iphone4s as one of my presents. I was also majorly excited that I could now join the Instagram club and these 'Instagram Diary' type blog posts. I personally love taking photos, I even wanted to be a photographer when I was younger so an app like Instagram is the perfect place for me to get snap happy and upload my pictures. I upload a mixture of things on there from beauty and fashion photos, to scenic shots and everyday life. The selection above have been uploaded over the past couple of weeks but I had so many more I could of included. I decided to stick with these ones for my first post to see how they go down. I will be more than happy to do a weekly Instagram diary though if it is something you might be interested in seeing? I realise some of you may of already seen these pictures if you follow me on Instagram so I do apologise for that but I thought it might be a nice way for those of you who don't have Instagram to get to know me a little bit better. As you can see, I have had a lovely couple of weeks with trips to feed the ducks at the park, the stunning beach at Noosa and a shopping trip to Brisbane. I have also got a few new goodies including a River Island Peplum top, chunky jewellery and this cute Cath Kidston phone case. My dad also informed me he has won a Canon EOS 650D in a promotion at work and he is kindly giving it to me as he already owns the 1000D. I couldn't be happier as I have been harping on about how I would love one of these cameras for months now. I can't wait to get snapping with it, it will be amazing for my blog so watch out for some high quality photos in the near future. It also means I will now have something to film HD videos on so Youtube might even be an option for me? Would you like to see me doing videos? I'm not 100% convinced yet but I may give it a whirl when I receive the camera and see how I feel. Australian life looks amazing, i'm jel! 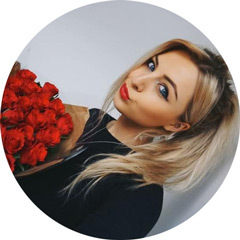 Great instagram photos, you look gorgeous in every one! You are so pretty. And your hair...... gorgeous. Shall we exchange? Oh, and you definitely should do some videos on youtube! That would be so cool.